Home » india news » Did Kalburgi pay the price for taking on Lingayat orthodoxy? 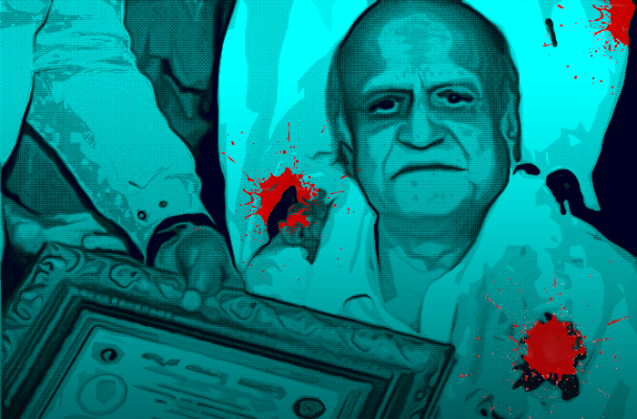 Did Kalburgi pay the price for taking on Lingayat orthodoxy? The murder bears the hallmark of supari killers. But who are the masterminds? Even as the Karnataka government has handed over the investigation into Prof MM Kalburgi's murder, the motive behind the crime isn't clear. Some of the scholars have alleged that a figure in the orthodox Lingayat community could be harbouring possible suspects. The meticulous planning and execution of the murder by two motor-bike borne assailants bear the hallmark of supari killers, especially as they have left few traces behind. Therefore, there is speculation on who could have been the 'masterminds' behind the murder. Kalburgi, 77, a Lingayat himself, had completely devoted himself to the study of Veerashaiva Dharma in ancient scriptures, manuscripts and epigraphy. This culminated in a voluminous of body of work that was stunning in its range and depth. But in his quest, he earned the wrath of his community at several stages of his career by critically interpreting historical events and persons. He courted several controversies with his strong views on the powerful Veerashaiva mutts, in particular, and Hinduism in general. He sometimes argued that Lingayats were not Veerashaivas and they were also not part of the Hindu religion. This did not go down well with the Lingayats, who form the largest single community in Karnataka, comprising 18% of the state's population. On another occasion, he questioned the 'divine origin' of Chenna Basavanna, the nephew of saint-philosopher Basaveshwara. This sparked widespread protests and Kalburgi even had to face death theats. But the professor stood his ground. He was also critical of the functioning of the Panchadipathis (the heads of five major mutts). He even suggested that they should be rotated so that they did not develop vested interests and build 'empires' of their own. K Marulasiddappa, a former professor at Bangalore University, believes that Kalburgi was a dedicated researcher whose integrity was beyond question. "But sometimes, he would take extreme positions and look for material to buttress his arguments." Kalburgi's hypothesis was that Veerashaivas and Lingayats were not the same and that the Veerashaivas of pre-Basavanna period were Brahmins. He stated that hundreds of other communities joined later due to the conversions encouraged by Basavanna. This angered the orthodox mathadipathis. "There has been a fierce fight between Viraktha Peetha and Pancha Peetha over the lineage of Lingayats for over 800 years and Kalburgi has added fuel to the fire," says Marulasiddappa. Prof HS Raghavendra Rao dismisses allegations that Kalburgi was 'anti-religion,' he says, "he was a traditional scholar who was trying to build bridges with modernity." Kalburgi used to propagate his views and research findings through a weekly magazine, Agni Ankura edited by his friend, Linganna Satyampete, himself was a firebrand writer. The magazine was being brought out from Shahabad in the Lingayat dominated Bidar district. Linganna Satyampete was found murdered some time ago, when his body was found in a drain in front of Sharana Basaveshwara Mutt in Kalaburgi. Marulasiddappa says, "Linganna was highly critical of the Veerashiva swamijis and their activities. The swamijis had made their displeasure known to him....But to this day, the police have made no progress in their investigations." Marulasiddappa points out that Lingayats have been divided on the basis of castes and sub castes for centuries and the integration never really happened. "It was only after the BJP came to power in Karnataka under BS Yeddyurappa that the Lingayats began to organise themselves for political purposes as a single force," he said. During Yeddyurappa's tenure that the Lingayat mutts, which are some of the richest institutions in the country, began to flex their muscles and openly identify themselves with political leaders. The silencing of his voice is a huge blow to freedom of speech, scholarship, debate and dissent. The scary thought is: where are we heading? 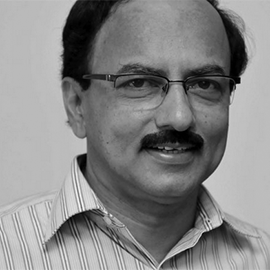 Home secy Goyal sacked: is this the hardest job in Modi's govt?